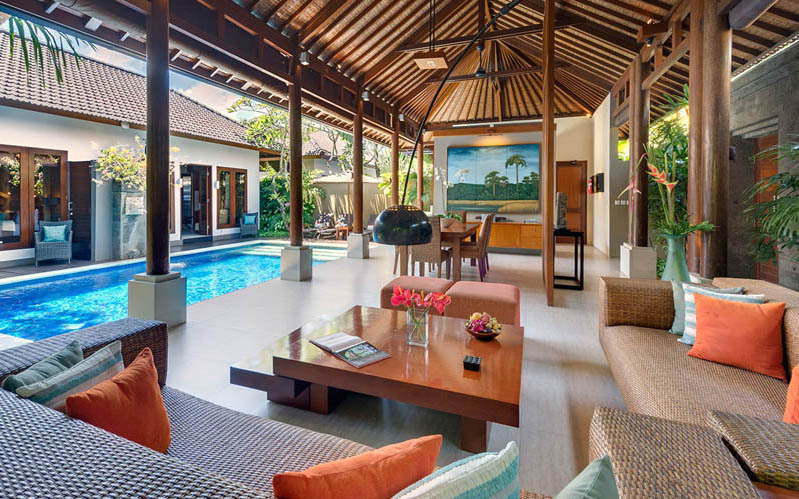 Hidden in a luxury residence in the heart of trendy Bali, Seminyak, this dreamlike rental is able to host 4 guests in a comfortable atmosphere. 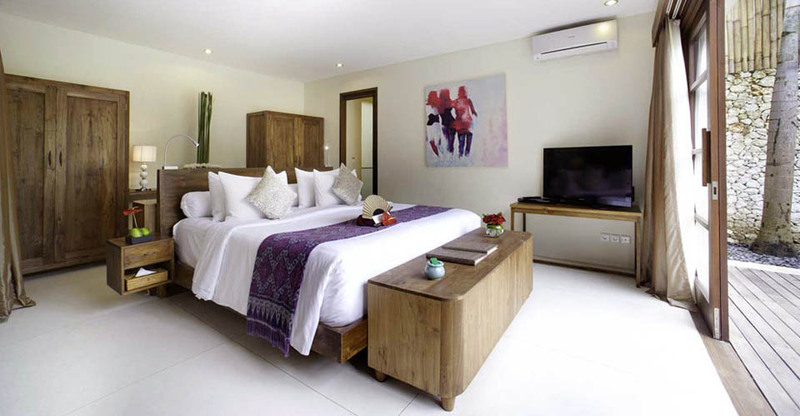 Featuring spacious rooms, the house is fully suitable for a family or a group of friends who want a calm and luxurious hideaway without being far from the lively places of Baliâ��s South-West coast. 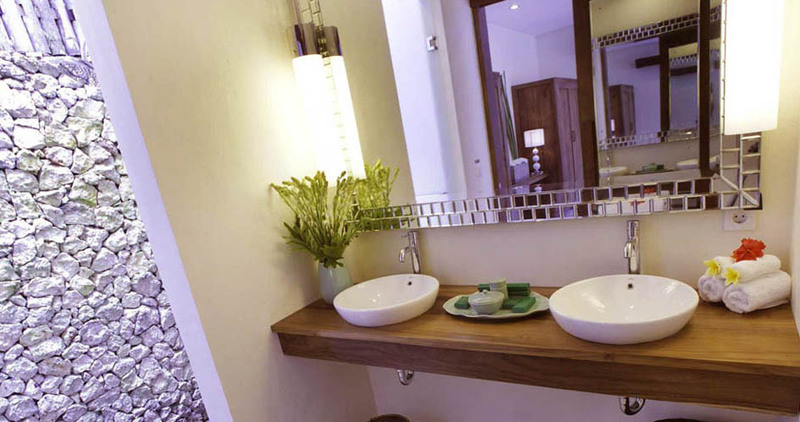 The style is contemporary while including Balinese touches. 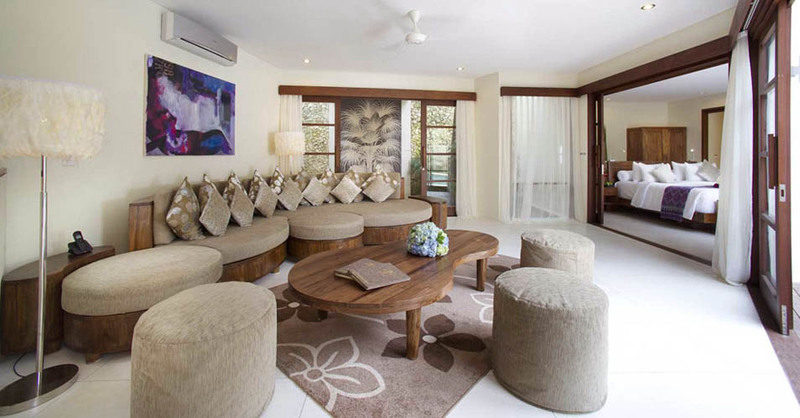 2 comfortable bedrooms can host 4 guests. 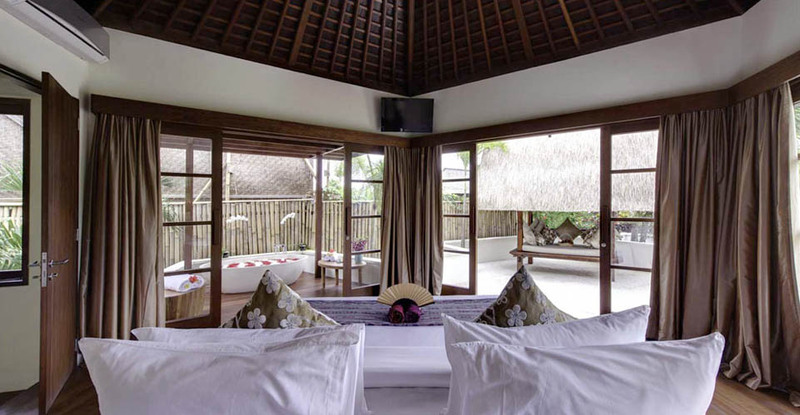 The master bedroom occupies the entire first floor over almost 200 square meters. It has a private sheltered terrace and a semi opened ensuite bathroom. 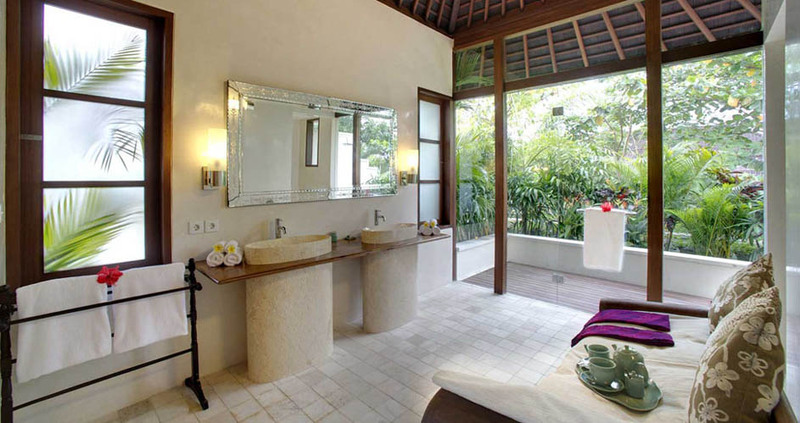 Like this room, the villa is spacious and was designed in order to take advantage of the Balinese climate. 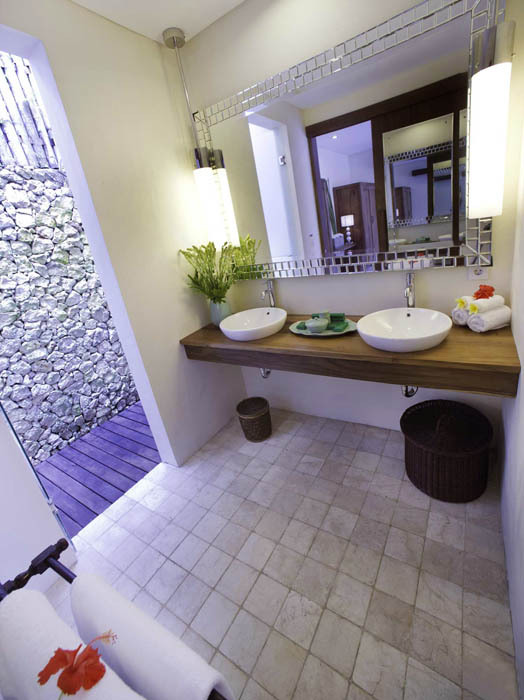 Throughout the villa, you will be delighted by the comfort and the luxury. 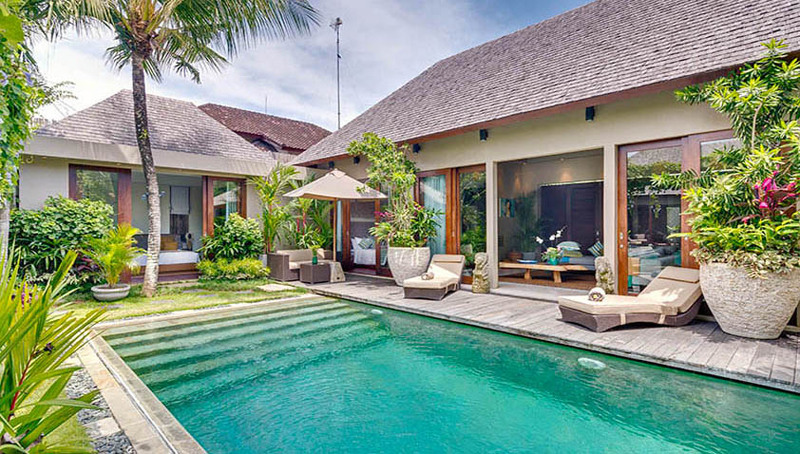 Outside of this Bali villa is also lovely. From the large swimming pool, you have a nice view on the white impressive house which is very elegant outside as inside. The garden is surrounded by gorgeous tropical vegetation, perfectly suitable for restful holidays. 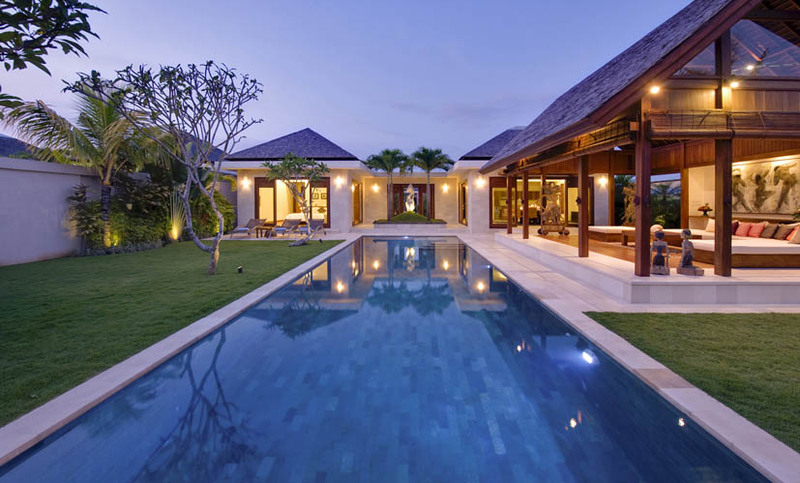 Regarding the location of the property, it is a great compromise because even if you are in the middle of lively Seminyak, you benefit an enjoyable calm atmosphere thanks to the estate. 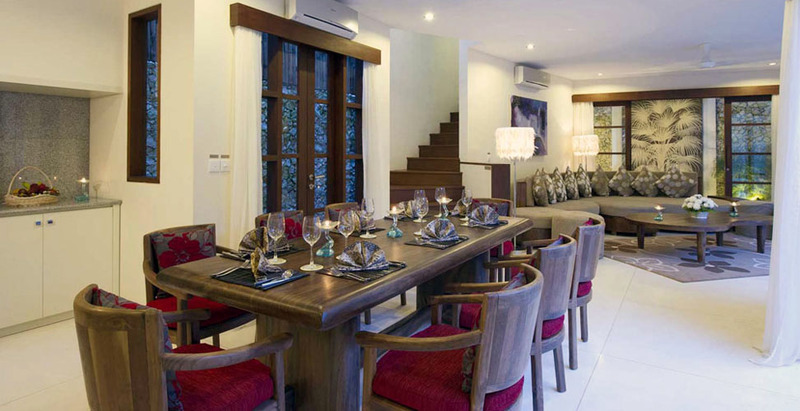 Thus, you will find nearby this villa for rent many kind of trendy restaurants, bars, shops and art galleries. A staff is looking after your daily comfort and they maintain the house clean. 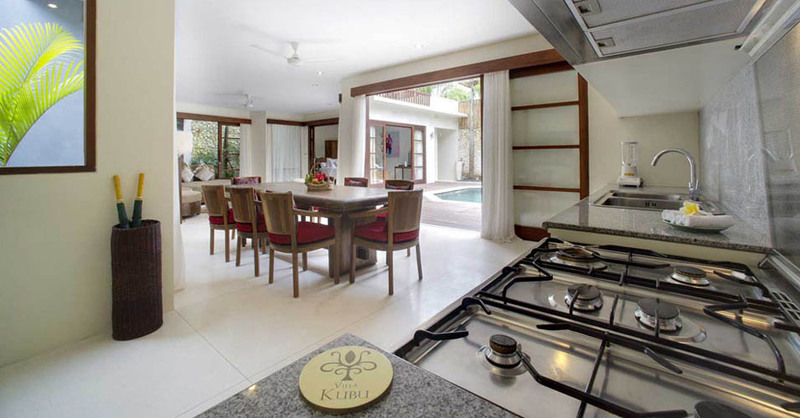 You can request a chef is you want to enjoy a delicious meal inside your peaceful haven. 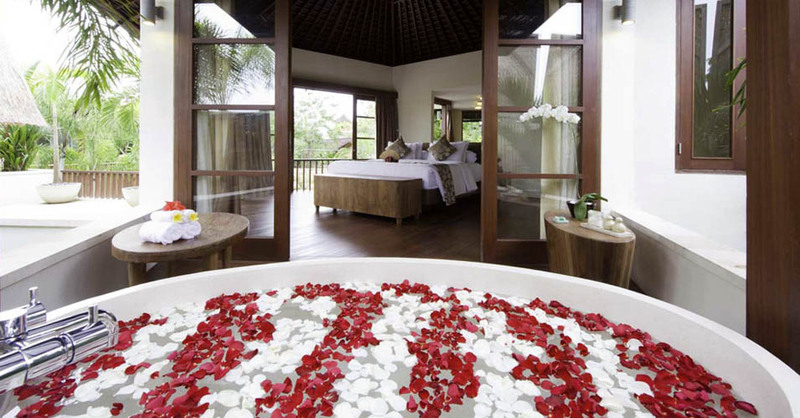 Otherwise, if you want to find out about Bali through various activities, Bali Je tâ��aime villa rental will be able to advise you and to offer you a wide range of original activities in order to discover Bali in a serene but unusual way. Thereby, your stay will totally fit your needs, which will make it memorable and fantastic.